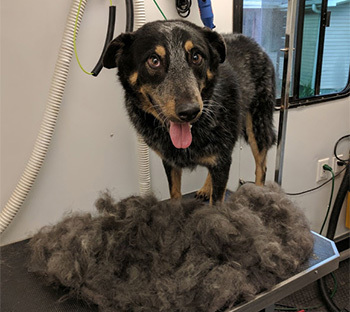 Dog Gone Hairy - Mobile Dog Grooming | Serving Greenville, Mauldin, Simpsonville and Fountain Inn, South Carolina. Big and Small, we clean them all! We have two grooming units with two groomers and a bather. We will bathe and de-shed any size dog and we provide full service haircuts and baths for dogs 35 lbs and smaller. Please call or text for pricing. 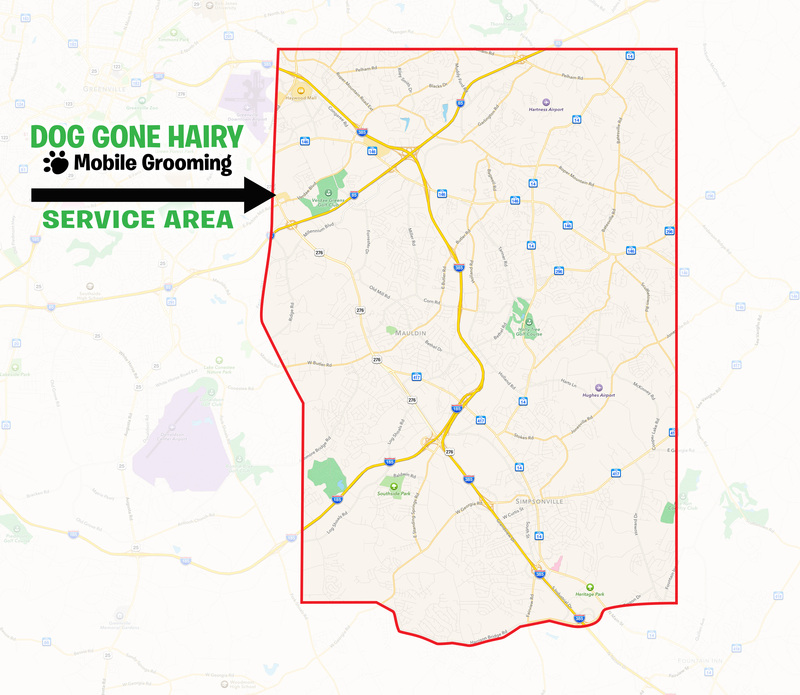 Dog Gone Hairy Mobile Grooming Pet Service is a fully equipped, self-sufficient pet spa on wheels serving Greenville and surrounding communities. All we need is a place to park and a pet to cater to! 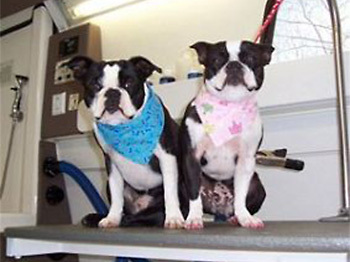 Our mobile grooming service all takes place in our state-of-the-art van, one of the most advanced in the Upstate. It includes a special system for deep cleaning, warm water, a generator, and a top of the line air conditioning system with a clean, healthy environment for your pets needs. Our mobile grooming service offers our new deep-cleansing bathing system which flushes out loose undercoat and dead skin. This state-of-the-art bathing system doubles as a jacuzzi bath to soothe away aches and pains from arthritis, stimulates blood circulation and helps relieve stress. Our mobile dog wash facility is like no other you've experienced. It is professionally designed for the safety of your precious canine and it is a convenience for their owners. No more travel time, long waits or cages. Your pampered pup will have an experience fit for a canine king or queen. 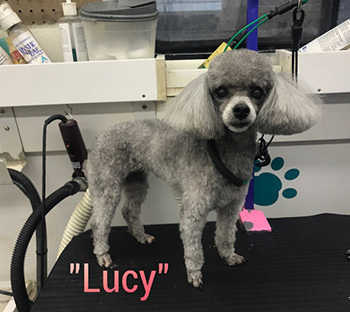 We come to your home well provided with everything needed from bathing, drying, cutting, trimming, and a lot of Love & Patience to give your pet the ultimate experience.